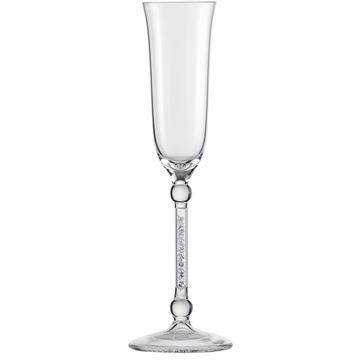 The exclusive 10 CARAT series is a dazzling addition to the Eisch Collection. 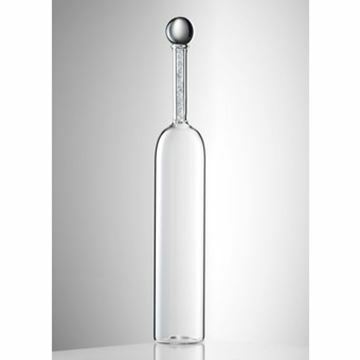 Each product is individually handcrafted, and features dozens of shining crystals encased within the actual stem and handle. 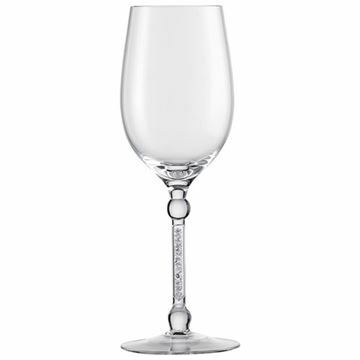 Each stem undergoes a unique Sensis Plus treatment that enhances your wine appreciation. 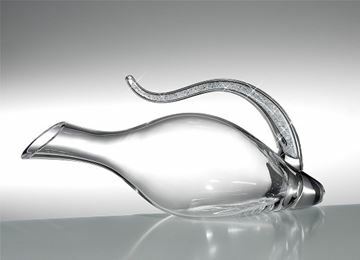 The 10 CARAT crystal decanter is an absolutely stunning piece of handcrafted artwork. 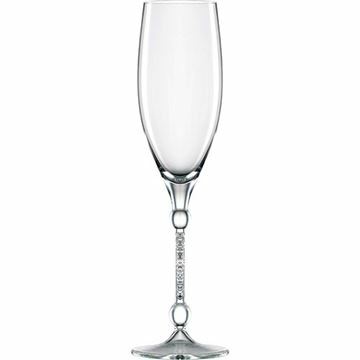 The stylish handle, or “tail”, is filled with brilliantly sparkling crystal “diamonds”. 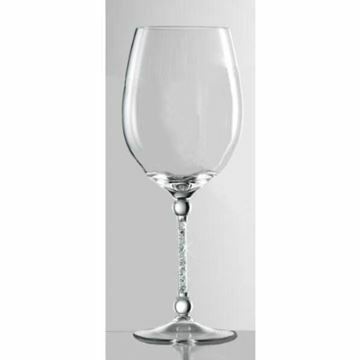 As with all Eisch decanters, it features their exclusive No Drop Effect© Decanters … which inhibits wine droplets from beading down the outside of the carafe. 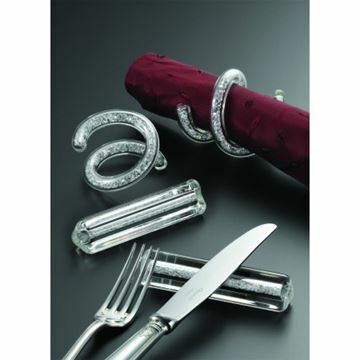 The Eisch 10 CARAT Collection is made of lead free crystal in Germany. Hand wash is recommended. 10 Carat Series: loose cut crystals encased in stem. – 13.8 oz. gift box. 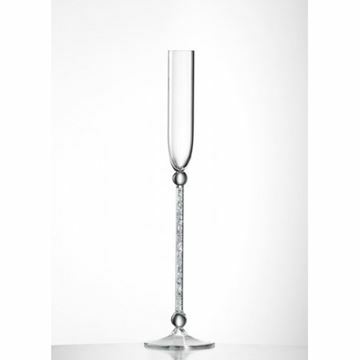 10 Carat Series: loose cut crystals encased in stem – 9.9 oz. Gift Box. 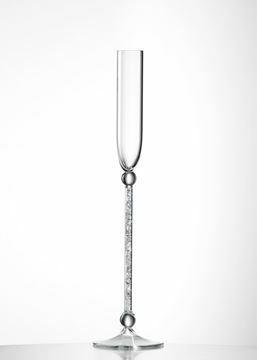 10 Carat Series: loose cut crystals encased in stem. 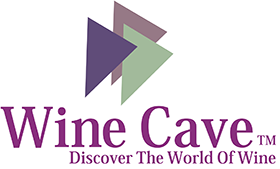 – 2.8 oz. 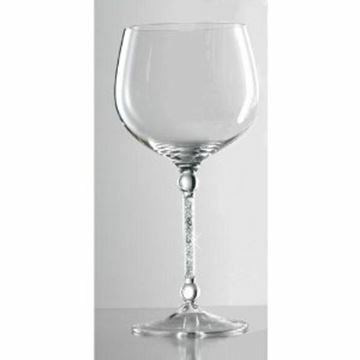 10 Carat Series: loose cut crystals encased in handle – 31.8 oz. 10 Carat Series: loose cut crystals encased in stem – 3.2 oz. 10 Carat Series: loose cut crystals encased in item.